The Easter weekend was characterized by some interesting updates about Unified Protector operation in Libya. 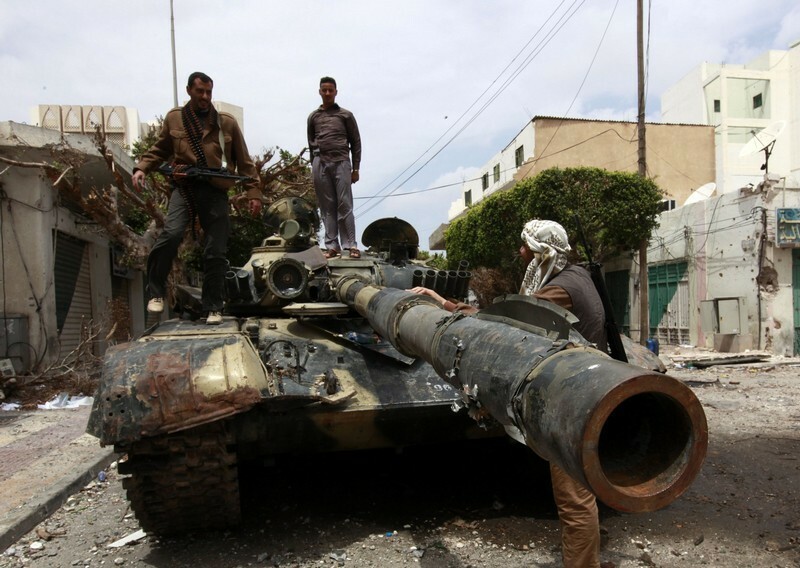 First of all, Gaddafi’s forces withdrew from Misratah, even if insurgents’ celebrations turned out to be premature. In fact, despite they have inflicted significant losses on loyalist forces, “victory” in the disputed third largest Libyan town is far from being achieved, as the violent attack from pro-Gaddafi forces following the withdrawal shows. There have been also some unconfirmed reports of Scud attacks on Misratah on Twitter, even if I didn’t find any (photographic) evidence yet. I’ve been told that Al Jazeera reported of a 5-meter wide crater however, if that is the diameter of the hole, it is not as significant as a Scud one would be. Even if I’m not an expert in missiles, I know Scuds have a very high terminal speed (1,4 km per second) and the typical damage on the ground is a crater 1.5 – 4 meters deep, 12 mt wide, according to “Scud Ballistic Missile and Launch Systems 1955-2005” from Steven J. Zaloga (Osprey Publishing). Therefore, if the crater is 5 meter deep, then it was most probably a Scud, otherwise, the hole was caused by another piece of heavy artillery. For some more info about Scud hunt read the Day 24 debrief. “These strikes will continue and we ask civilians in the affected regions to distance themselves from Qadhafi regime forces, installations and equipment whenever possible so we can strike with greater success and with the minimum risk to civilians,” said Rear Admiral Harding. These Predator strikes teach us that UAV attacks count more than “conventional” ones, or at least seem to give the public opinion the idea that they are more “surgical”. For sure, although their involvement was much advertised, becoming a sort of marketing tool in the Predators have some advantages: they fly at lower speed, (sometimes) they can descend to lower level than manned planes and, above all, they have such an endurance that they can wait the right moment to fire their AGM-114 missiles, because they can stay airborne for up to 20-24 hours. 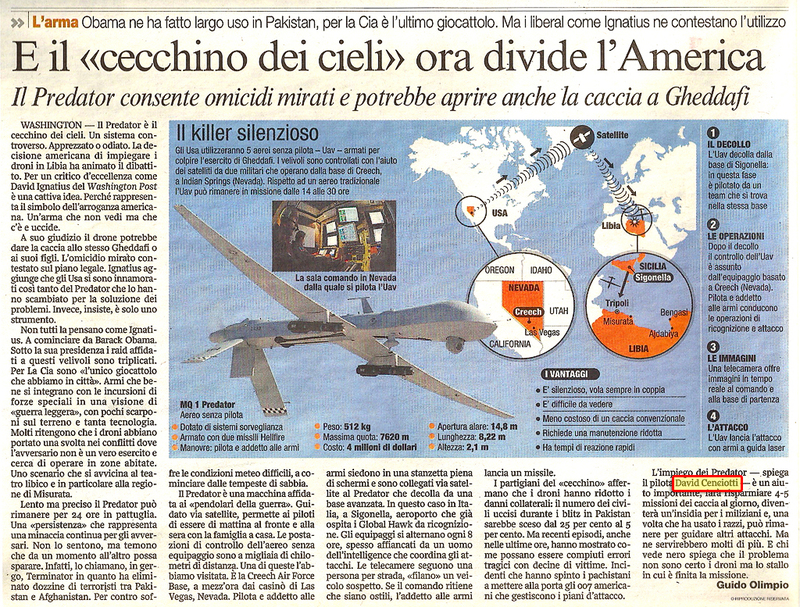 As I had the opportunity to explain to the Corriere della Sera’ special correspondent from Washington Guido Olimpio, they save some 4 – 5 conventional sorties and even after declaring “Winchester” (the typical codeword that is used to inform the control agency that the aircraft as no ordnance remaining) it can direct other air strikes or perform ISR duties. Then, the news of the first strikes provide the confirmation that there are two CAPs: one near Misratah, the other one near Tripoli. Another interesting news arrived in the evening of Apr. 25, when Italy’s PM Silvio Berlusconi announced that Italy would the bombing campaign in Libya in the following 72 hours. Italian planes, initially performing SEAD strikes (still unclear whether they had the clearance to fire if they detected a radar site or not), reconnaissance and Defensive Counter Air missions, will be involved in targeted actions against specific military objectives in Libya within the strict confines of NATO’s mandate and of UNSCR. The decision to change the role, initially limited for many reasons (Italian colonial history in Libya, internal political struggles, strong national interests in the region, etc. ), came after growing pressures from NATO partners and US in particular. 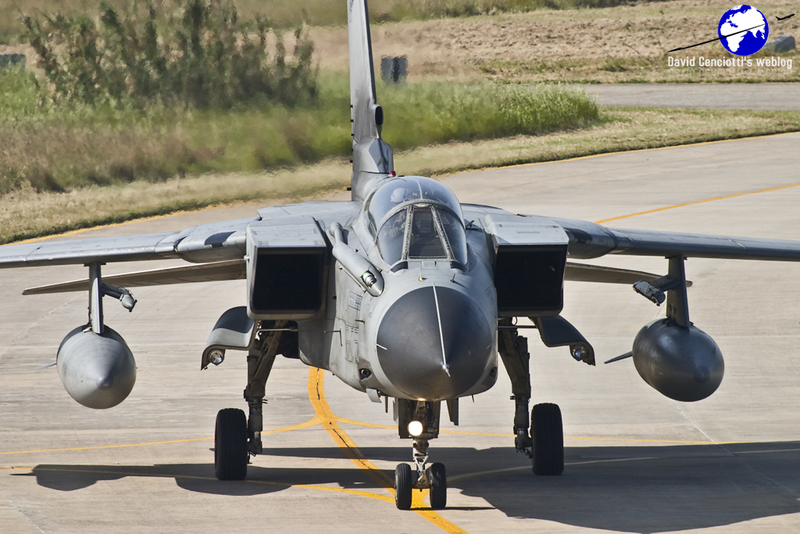 The aircraft involved in the new phase of the Italian mission, were not disclosed, despite many media reported Tornado IDS, AMX and AV-8B+ Harrier will perform strike sorties over Libya. The Minister of Defense Ignazio La Russa, in an interview given to La Repubblica referred only to the Tornado IDS. 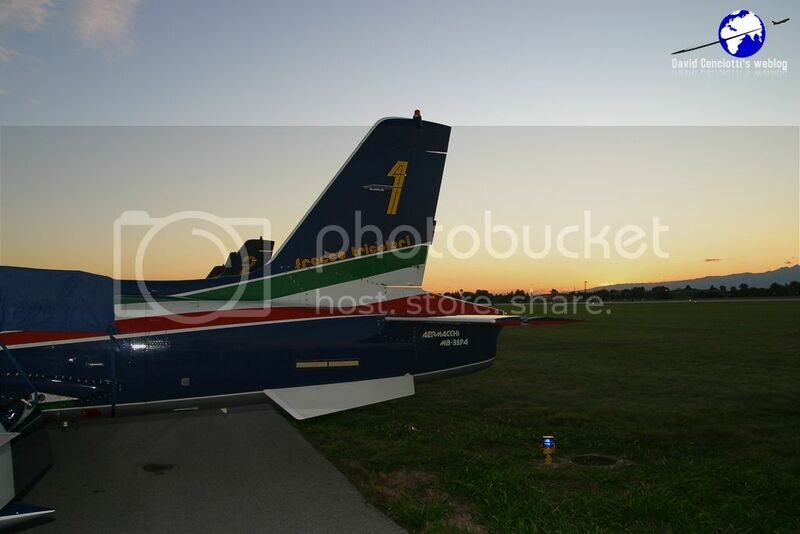 The attack aircraft belonging to the 6° Stormo based in Ghedi are already deployed to Trapani (as I personally witnessed on Apr. 12) and were involved in reconnaissance missions over possible targets from weeks. They will simply carry the CLDP targeting pod instead of the Reccelite, and some PGMs to strike targets “outside towns, in order to avoid collateral damages”. I don’t know if the Aeronautica Militare, as the RAF, will use the MBDA Storm Shadow stand-off missile, but I can’t rule this possibility out. The most recent weapons introduced on the Tornado fleet along with the Storm Shadow are the GBU-32 JDAMs and the EGBU-24 Paveway III even if the Italians will probably carry the GBU-12s or 16s (respectively 500 and 1.000 lbs). strike sorties have been conducted. The above figures show the optempo has not changed in the last few days. Let’s see what happens with another partner (Italy) joining the bombing campaign. 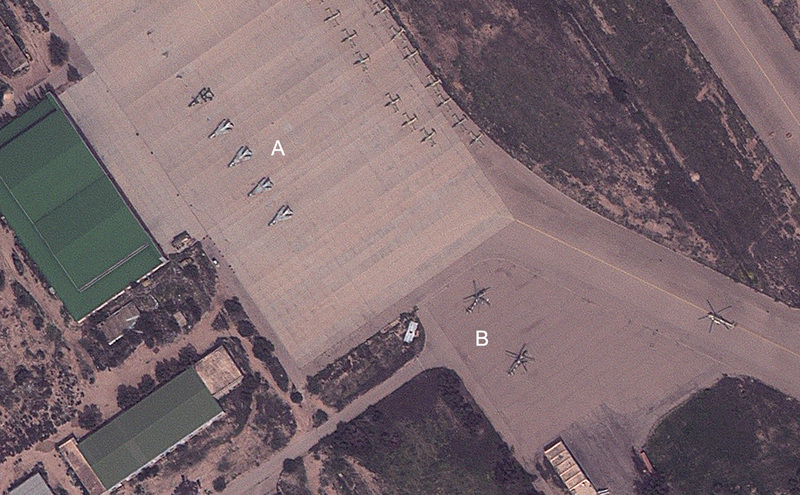 “would indicate the destruction on the ground at Misratah of at least five Soko G-2 Galeb combat planes and at least two combat helicopters MI-35 who were about to conduct operations in the region. Needless to say, in spite of the various news reports claiming “7 aircraft shot down” or “Gaddafi’s war planes downed”, these can’t be considered air-to-air victories; what is somehow surprising is that the aircraft were “about to conduct operations in the region” considering the number of coalition aircraft enforcing the No-Fly Zone and the immediate consequences of any attempt to use them to attack rebel forces or simply to disperse them to other bases. I’m curious to know where if they were parked, as usual, next one another in the large apron located next to the RWY15 threshold: in this case, an LGB could destroy or at least damage more than one aircraft at a time. L’opération Harmattan a été marquée lors de ces dernières 24 heures par la poursuite des missions aériennes dans le cadre de la résolution 1973. Au cours de ces missions, les avions français ont réalisé plusieurs frappes dans les régions de Zintan et Misrata. Dans l’attente d’une évaluation plus précise des résultats, les premières observations permettent de constater la destruction au sol à Misrata d’au moins cinq avions de combat Galeb et d’au moins deux hélicoptères de combat MI-35 qui se préparaient à mener des opérations dans la région. 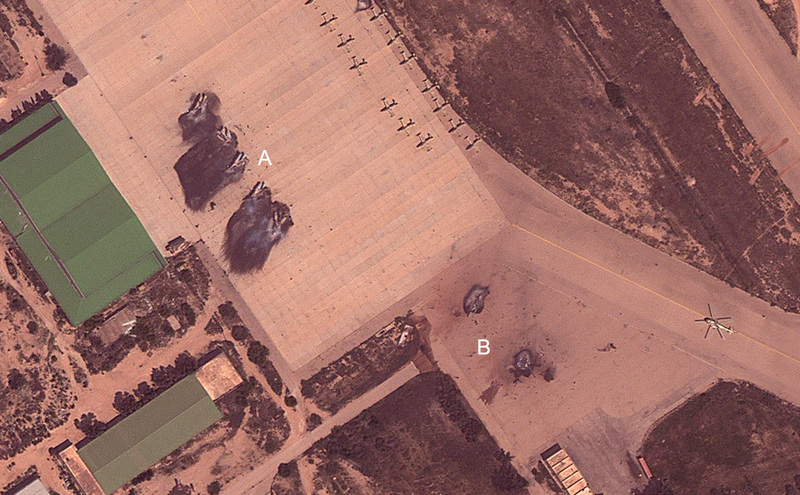 The images, rendered available by the AAAS website at the following link clearly show 5 Mig-23s (originally captured by the rebels on Feb. 24 and then sabotaged, with the removal of their nose before the regime counterattack, few days later according to Tom Cooper) and 2 Mi-35s before and after being struck by the French Air Force. So, they are neither Su-22 as the AAAS reports (they were probably deceived by the missing noses) nor aircraft about to take off……Better intelligence would prevent allies from wasting LGBs. The French government last year ordered Paveway II and Enhanced Paveway II kits to adapt GBU 12 and 49 “dumb bombs” into guided weapons, an industry source said. Deliveries of the Raytheon-built kits were made before the Libya campaign started. 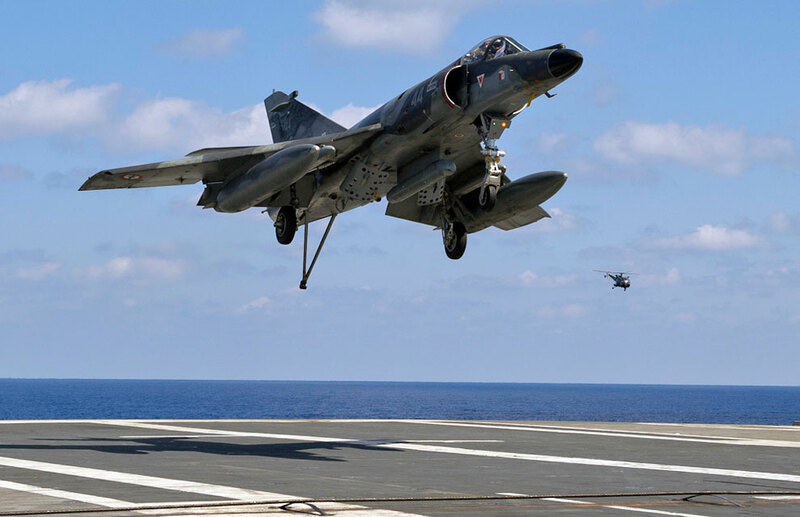 The Mirage 2000D, Super Etendard and Rafale are certified for the Paveway II, while the Rafale has not yet been certified for the improved version. In February 2010, France ordered 680 armement air-sol modulaire (AASM) guided bombs from Sagem, following an initial order of 750. The AASM kit comes in three versions: GPS/INS, GPS/INS and infrared, and GPS/INS and laser. In 2009, the government cut the total purchase of AASMs to 2,348 from a planned 3,000 units including 1,200 with laser guidance, according to a 2010 French parliamentary report cited by newsweekly Le Point. At a total budget of 846 million euros ($1.2 billion), that implied an average unit price of 350,000 euros for the AASM, the parliamentary report said. French warplanes have fired about 10 MBDA Scalp EG air-launched cruise missiles against Libyan ground targets, Burkhard said. 3) Here’s a weekly update on the French contribution to Unified Protector. Since Apr. 14 the French military continues to provide an average of almost four sorties (only? most probably, these should be “missions”) per day (representing about 120 flight hours), half of which are strike missions. These figures still represent about 20% of all NATO sorties and 25% of ground attacks. communication and command installations in theareas of Tripoli, Sirte and Ras Lanuf. Guido Olimpio pointed me to the following interesting French Air Force footage. It shows what seems to be an SA-8 hit just after launching some SAMs against NATO aircraft. At the beginning of the video there’s also some footage of a Mirage F1 departing from Malta: interestingly, once again, on Apr. 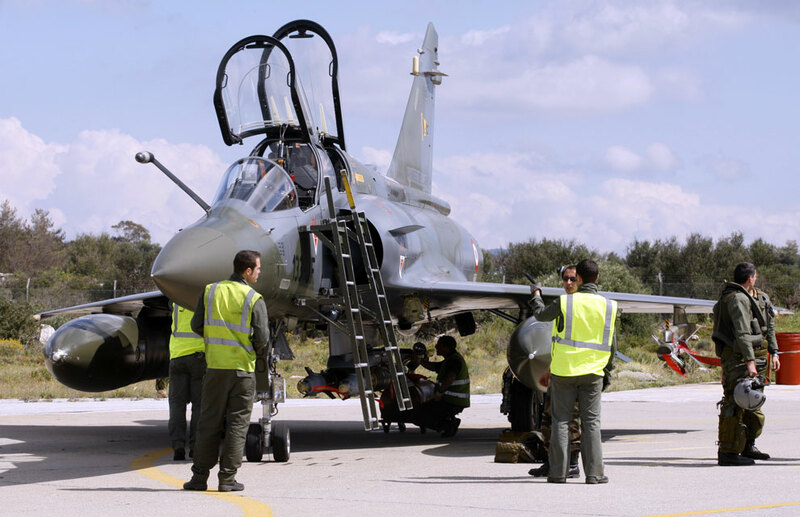 23, two French Mirage F1s were compelled to perform an emergency landing in Malta before being refuelled and proceed to their destination (Solenzara, Corsica). 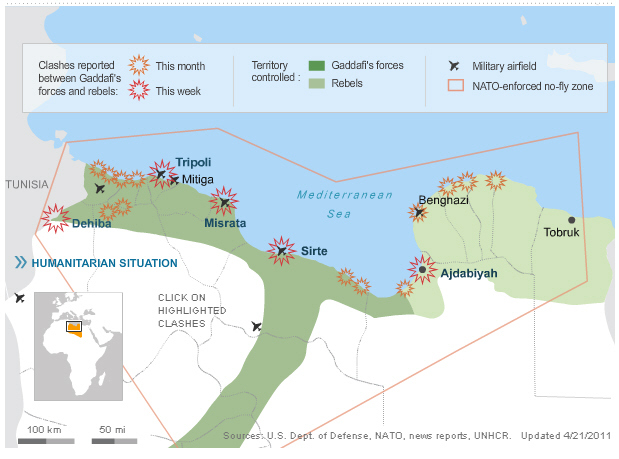 4) Loosely related to the Libyan war: on Apr. 24 a Kazakh named Valeriy Tolmashev tried to hijack Alitalia flight AZ329 from Paris to Rome and to divert it to Tripoli by threatening a female flight attendant. The episode occurred at around 19.30 GMT as Tolmashev approached the hostess with a small knife saying he wanted to hijack the Airbus A321 with 131 passengers on board to the Libyan capital. However he was quickly overpowered by four stewards and passengers who forced him back to his seat where a doctor was able to administer him a sedative. The flight arrived in Rome Fiumicino at 20.05 GMT and the 48 years old Kazakh was handed over to police. Although such episodes urge a reaction by the Air Defense that usually scramble the QRA (Quick Reaction Alert) planes to intercept the plane, it seems that the Alitalia flight was not “shadowed” by Italian Air Force planes to landing. Noteworthy, the cabin staff’s intervention was so quick at the front of the plane that those passengers travelling at the back did not notice anything until the pilot announced that everything was ok and the flight was going to land safely. 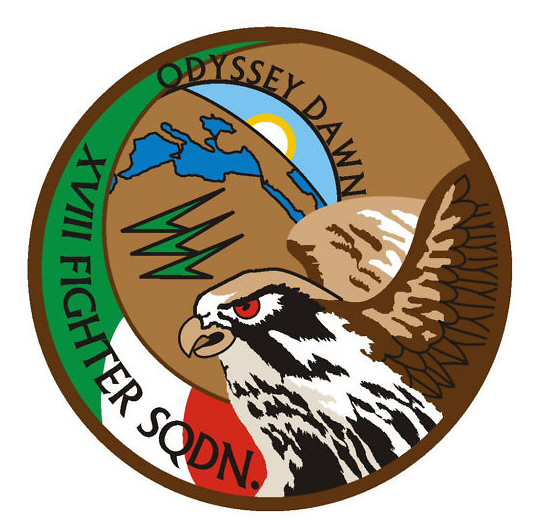 5) The 18° Gruppo, that took part to the first Italian Odyssey Dawn sorties has made a special patch to celebrate the participation in the air campaign in Libya (read the very first debrief for details about the Italian F-16s involvement). 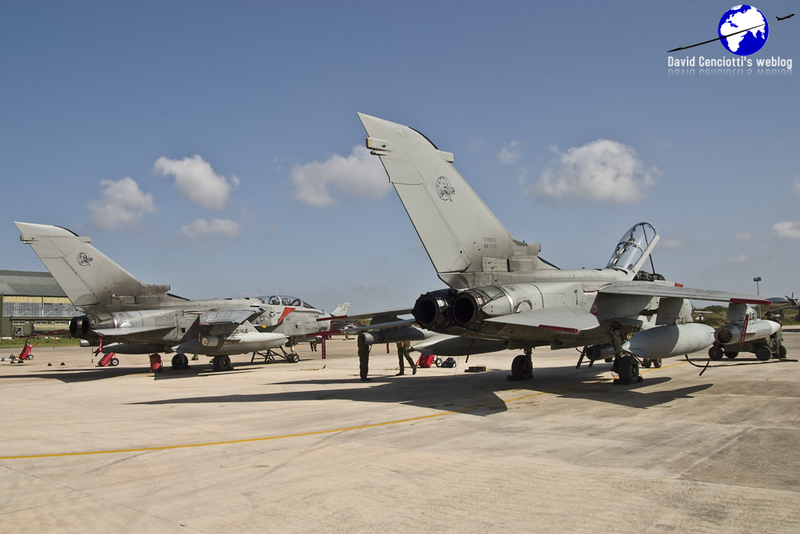 The Sqn’s F-16s belonging to the 37° Stormo were replaced by the 4° and 36° Stormo’s Typhoons in Unified Protector and are currently involved in ensuring the QRA service from Trapani airbase.